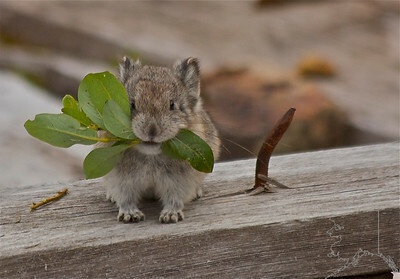 Pikas are native to cold climates, mostly in Asia, North America and parts of eastern Europe. Most species live on rocky mountain sides, where there are numerous crevices to shelter in, although some also construct crude burrows. They are kin to the Rabbit. 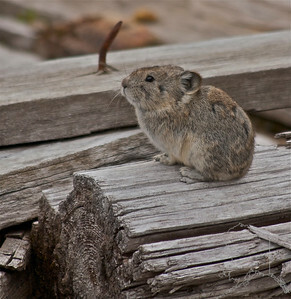 A Pika took a second out of his day to let me get this shot.